This essay was originally published in Brevity. See Amy Butcher's blog post about this essay here. 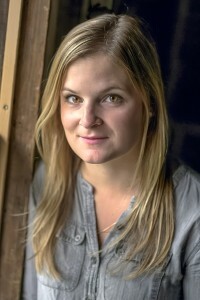 Amy Butcher is an Assistant Professor of English. Her recent essays have been published in Granta Magazine, Harper’s, The New York Times, Lit Hub, and others. Her first book, Visiting Hours, earned starred reviews and praise from The New York Times Sunday Review of Books, NPR, The Star Tribune, Kirkus Reviews, Glamour, Cosmopolitan, and others.